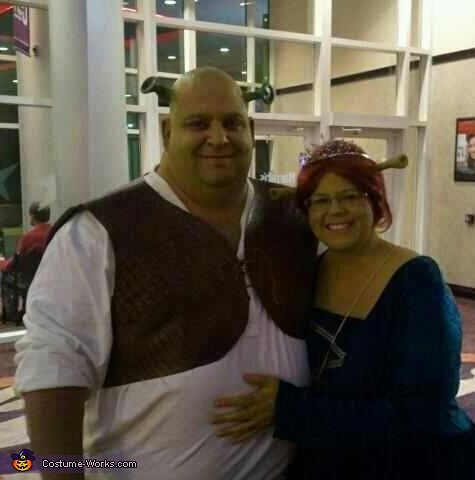 Fiona made her dress and headpiece and Shreks vest. Donkey had to stay home and watch the little ogers. That's the best! You look just like the movie characters. Awesome costume!! you did a great job! !